In the US alone, sales figure in the restaurant industry is reckoned to be about $798.7 billion for the year 2017. The hotel & restaurant industry is so liked by the consumers that every 9 out of 10 consumers prefer going to the restaurant in their leisure time rather than going anything else. An attractive website is a medium through which the food consumers can be delighted even more. Get in touch with WeblinkIndia.net to get an impressive website designed to serve your hotel & restaurant clients. 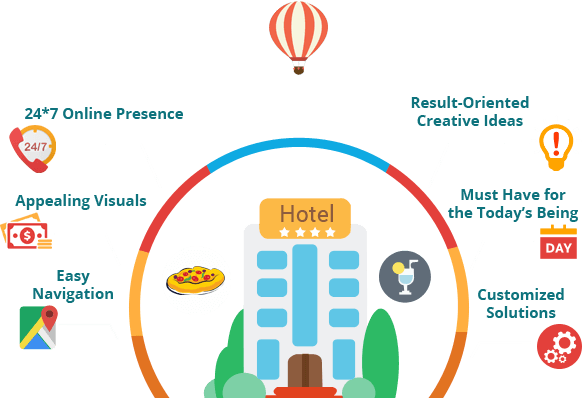 The Website Designing team at WeblinkIndia.Net understands the minute factors of hospitality industry that can make or break your brand image. 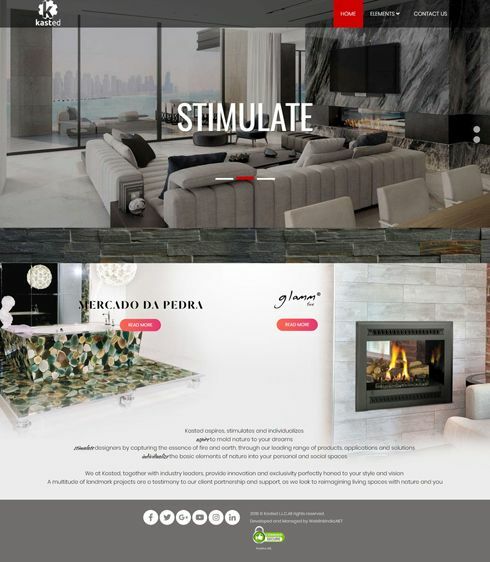 We strongly believe that being in the hospitality industry, your website should first and foremost reflect the hospitable environment you will offer to the customers. We render the finest Hotel & Restaurant Web Designing Services that truly reflects who you are, and what are you offering. Be right there, addressing the queries of the customers 24*7 with an attractive hotel/restaurant website. Engage and entice the visitors to fix their next visit at your hotel/restraint with an attractive picture gallery or a virtual tour. Keep the navigation easy and CTAs sharp, especially at the booking section to increase the user activity. The decor, theme, cuisines, and ambience are different at every Hotel & Restaurant and therefore, we customize the designing of your website so that it truly reflects who you are and, what you are offering. There would hardly be any customer today who checks into a hotel or a restaurant without making reservations in advance. Through the website, your front desk reaches them and convinces them to visit you. IBN Hameed Law is counted among the leading legal groups offering trustworthy legal advice to its clients. We have some of the most experienced legal advisors and lawyers working with us who enabled us to find solution for all types of legal complications that our clients have come up with. Our reconciliation & arbitration services and documentation services have assisted many people with their legal battles. WeblinkIndia.Net Pvt. Ltd., an Indian website development company, has enabled us to strengthen our web presence by developing and designing a fully-functional website for us. Vista Stay is providing individuals the experience of living in your own house. With us, people get a chance to live in a beautiful home at a new city without any hassles. Our services become very useful for the corporate travelers. However, any traveler can avail our services and live in a comfortable space away from home. Our serviced apartments are provided in some of the important cities of India. To gain more information about us, visit our website. It is designed, developed, and managed by a Delhi-based website development company named, WeblinkIndia.Net Pvt. Ltd.
Kasted L.L.C. is a famed name that is engaged in offering different types of natural stones and outdoor fire products. Our products are available in diverse appealing designs and at the most competitive prices. The fire products we offer are designed as per the latest technology and have amazing unique features owing to which they are highly in demand. Our products conform to the set quality standards and are committed towards ecology. The website of Kasted L.L.C. is developed and managed by WeblinkIndia.Net Pvt. 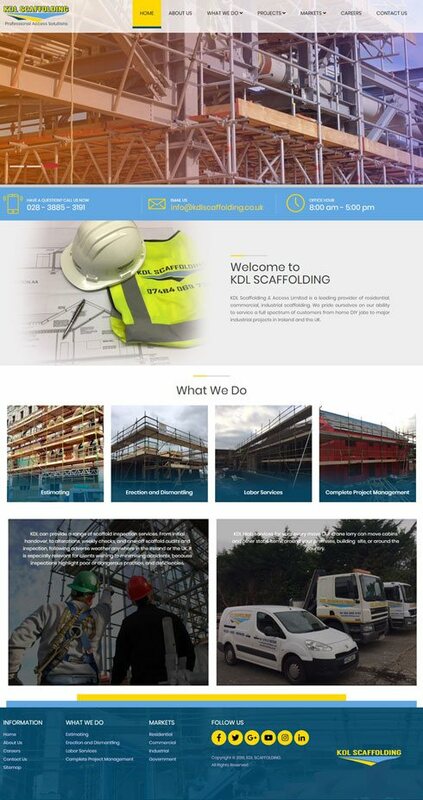 Ltd.
KDL SCAFFOLDING is a prominent name in the industry, operating from Dungannon. We are providing services for residential, commercial, industrial scaffolding requirements. Besides, we render solutions for estimating, erection & dismantling, and complete project management services. One can approach us for labor services also. 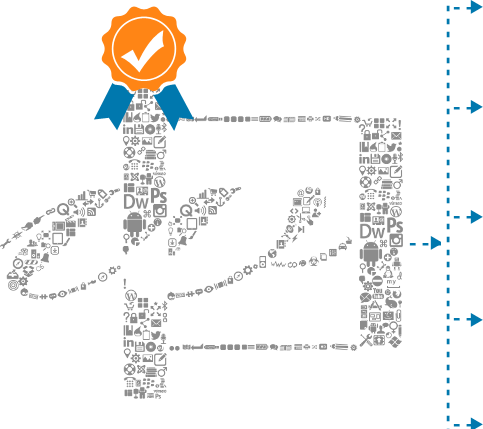 We have a support of skilled individuals, who work in coordination to complete the assigned task in the given timeline. We cater to clients across Ireland and the UK. To avail the benefits of our services, reach us through our website that is designed by WeblinkIndia.Net Pvt. Ltd. Choose WeblinkIndia For Designing Hotels & Restaurants Websites– Here’s Why?